Six GNSS business, technical and applications experts will judge the USA Challenge, North America’s first regional foray into the the 7-year old European Satellite Navigation Competition (Galileo Masters). The ESNC has become a worldwide race to see who can develop the most innovative applications ideas using GPS, GLONASS, Galileo or EGNOS, Compass/Beidou 2 or any of the regional and augmentation systems. The USA Challenge contest closed to new submissions at the end of July. The five finalists will be announced at the 2010 ION GNSS conference in Portland, Oregon September 21-24 and the winner at the ESNC 2010 awards ceremony in Munich next October 18. 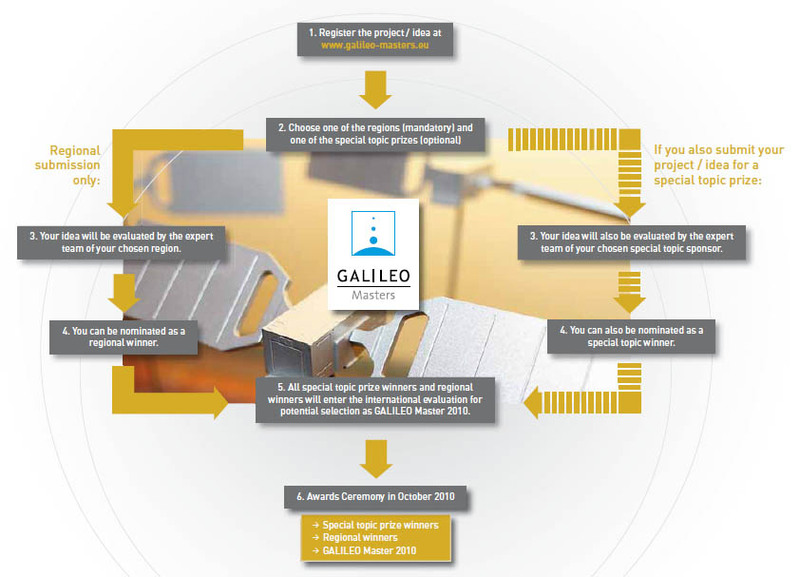 The prize includes cash, an Inside GNSS cover story, and a consultation with the University of Calgary Position Location and Navigation (PLAN) group as well as automatic consideration for the top international award, the Galileo Master’s prize. Ralph Eschenbach is on the board of directors of Sand Hill Angels, Silicon Valley entrepreneurs who invest in promising technology startups. He is a former vice-president and chief technology officer at Trimble Navigation and still works part-time for the company on mergers and acquisitions. Neil Gerein is a Canadian GNSS systems engineer and aerospace and defense product manager for NovAtel, Inc. (a USA Challenge sponsor). He’s spent several years working on Galileo receiver design. Hans Kunze is a GNSS engineer and business consultant who has worked in international business development at GPS companies for 20 years. He’s also a technical editor for Inside GNSS magazine. Gerard Lachapelle has been involved in GPS systems since the early days (the Canadian alpine ski team recently used his state-of-the art GPS system during the Winter Games.) He holds a CRC/iCORE Chair in Wireless Location at the University of Calgary and heads the school’s PLAN Group. Grace Gao, a researcher at the Stanford GPS Lab, is a newly minted PhD in electrical engineering who has already won big awards for her work on GNSS signals. She was the first to derive the code generators for Galileo and Compass signals. Chris Wilson is strategic research director for digital mapmaker Tele Atlas. He developed the concept of probe-based mapping and holds several patents in this area. He is also an Inside GNSS editorial advisor. The USA Challenge is sponsored by Inside GNSS magazine and Canadian OEM manufacturer NovAtel.